Language Learner Literature “WINNER” certificates were presented on Tuesday, April 2 at IATEFL in Liverpool to Oxford University Press for two titles adapted classic stories, “Mulan” by Rachel Bladon, and “Emma” by Clare West. 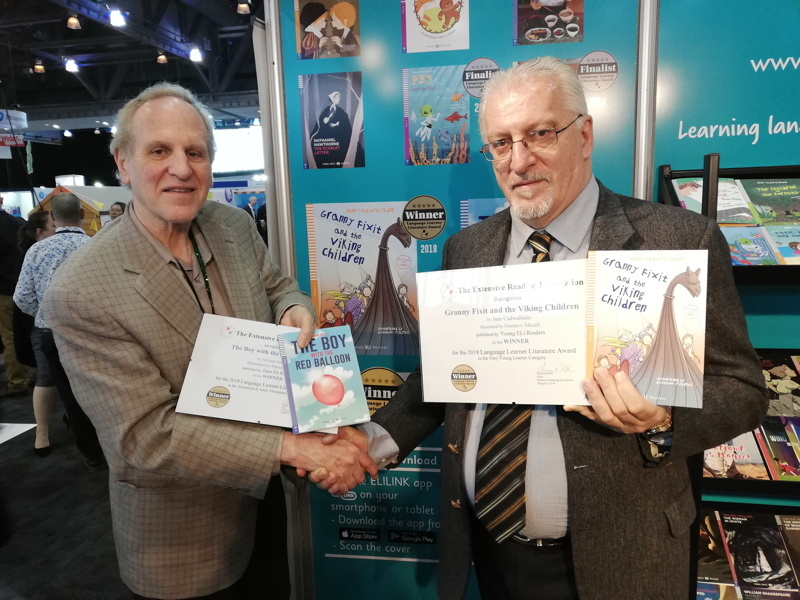 The authors were on hand to receive the awards from Thomas Robb, Chair and Nick Tims, Board Member and Awards Ceremony organizer. On Wednesday, awards were conferred upon ELI (Italy) for two of their titles, “The Boy with the Red Balloon” and “Granny Fixit and the Viking Children”. Both publishers also have “Finalists” in the running for the 2019 Awards. See the full listing of Finalists here! 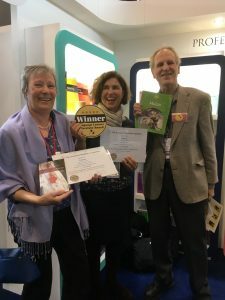 Awards being given to ELI, represented by Augusto Andreoli, Marketing Manager for ELI (left) and Clare West and Rachel Bladon (right) for OUP. 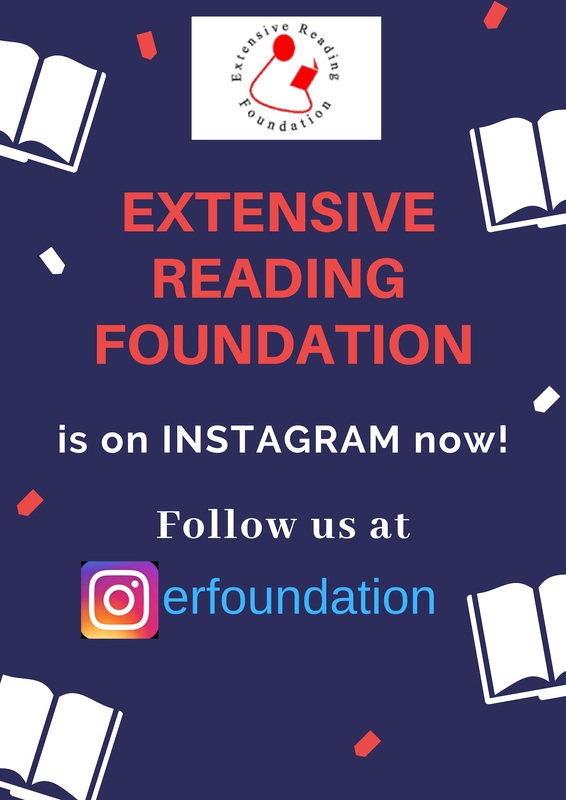 In order to reach wider people, ERF is on Instagram too, now. Please follow us and stay tuned for all ERF events and programs. Posted in Uncategorized	| Comments Off on ERF is on Instagram Now!